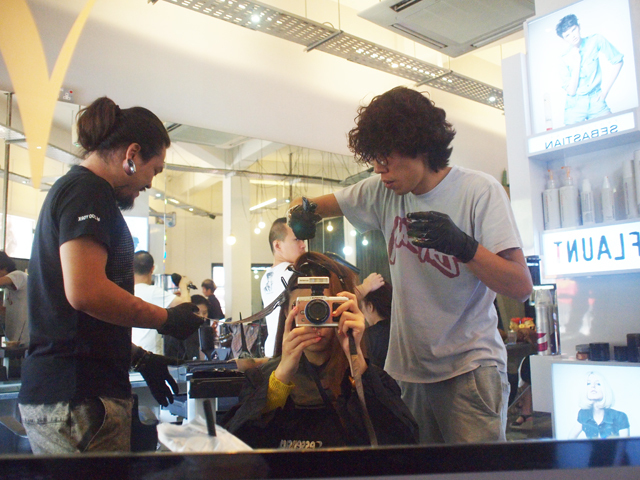 Went to dye my hair at Bugis Essensuals and Wayne decided to help me go back to my light colored hair again!! Wheeets! 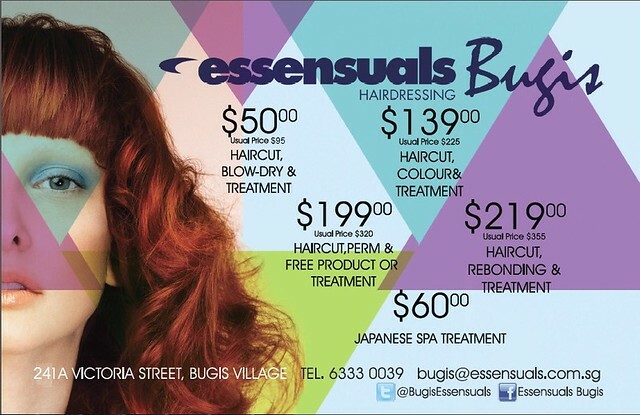 Check out the above promotion for Bugis Essensuals, They are also having 20% off on all DBS and POSB Credit / Debit Card holder valid for first timer only! Went to do my nails at Milly's Far East Branch! 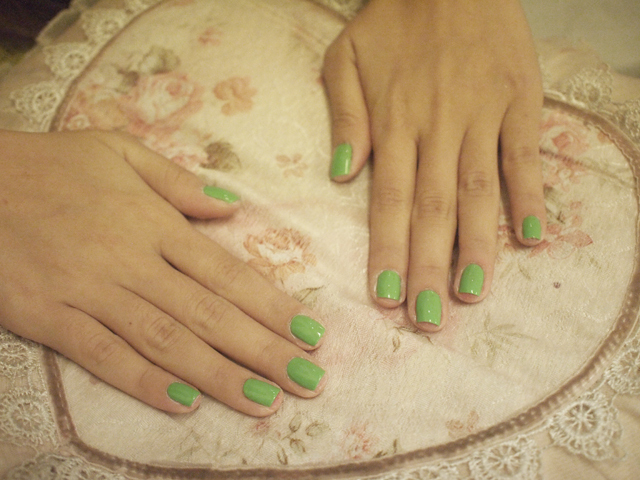 First time doing this shade of green :) Reminds me of grass. Haha.